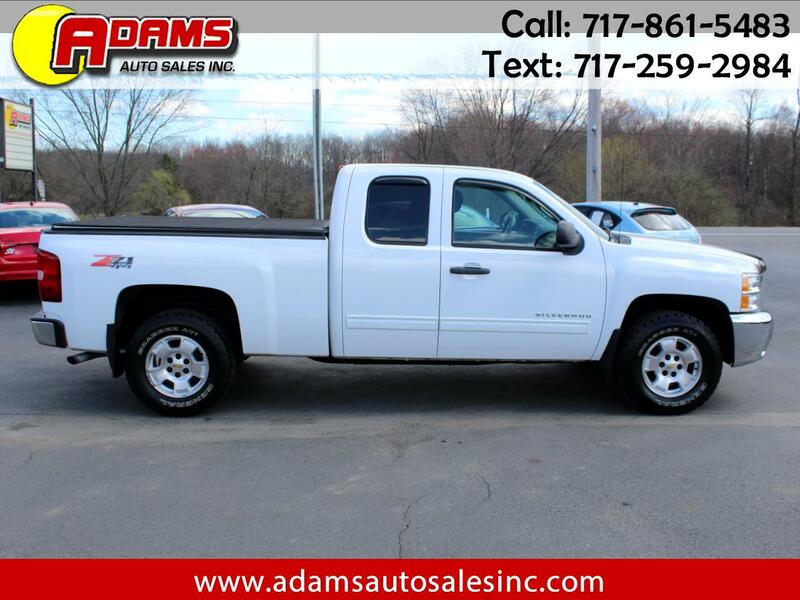 Used 2013 Chevrolet Silverado 1500 4WD Ext Cab 143.5" LT for Sale in Lebanon PA 17046 Adams Auto Sales Inc.
***Z71 Appearance Package*** This 2013 Chev Silverado 1500 LT Extended Cab 4X4 short bed is ready to hit the road with you behind the wheel. It is equipped with a V8 5.3 liter engine and an automatic transmission. It has a bed liner, towing package and alloy wheels. It also has a soft tonneu cover. It's white exterior and a charcoal interior are in great condition. Well maintained inside and out. Only 120,337 original miles. It comes with a 3 month / 4,000 miles (whichever occurs first) powertrain warranty. Ask a salesman for more details. Brand new inspection and emissions good thru March of 2020. Stop in and take it for a test drive today.